August 1, 2012 the Makeup stuff., the Me stuff. Summer of 2012 is going to go down as the summer of weddings. I know there are weddings every year and every summer, but this particular season has had me heavily involved in four weddings (and I was just asked to be a bridesmaid in one next August … weeee!). 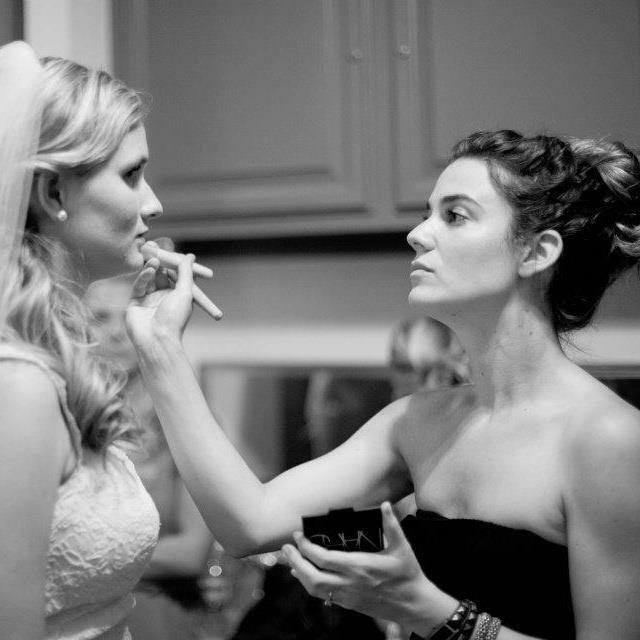 While I’ve played the part of being a bridesmaid in a couple, I’ve busted out my makeup brushes for all of them. And I’m having a great time. It’s my intent to move forward with my talents and to begin advertising myself as a local freelance makeup artist for hire, available for photo shoots, weddings, and all the like. More information is on it’s way.